My thoughts: Having read and loved most of Jean Sasson’s books, I’m always happy when I discover she’s written a new book. This book was more interesting to me because it was written on Osama Bin Laden, the elusive ‘self-proclaimed’ jihadi. Although I have intense hate for him, there is a part of me that wants to know why and how does a man become the Osama. How does a guy have so much control over so many people that they were willing to die for him? Also, What kind of family life did he have? All this and the author’s name led me to read this book. The book starts with Osama’s life in Jeddah, then Sudan and finally to Afghanistan. Because the book is from his family’s point of view it doesn’t have details of his jihadi life but enough to note the major crossroads of his life and how it shaped and encouraged him towards a violent future. ‘The thrill of being a fly on the wall of the bin Laden family’. The book was written before Osama dies so that part is still a mystery but fortunately I have a later edition of the book which gives a brief idea of the reaction of his family to his death. I seriously cannot stop talking about ‘Growing up Bin Laden‘ and since there is no one else I can talk to, I am happy and grateful I have this place. To say I didn’t know anything about the Rhodesian Bush war is an understatement. I’m overwhelmed by African war history. Ironically, the only reason I accepted this book to review is because it’s set in Africa. This is a memoir of a time when Zimbabwe had become Rhodesia. This particular story is about a white farmer’s family. After Susan’s first husband expired because of Cancer, she married Tim and moved to Bonisia with her 2 young kids. Bonisia is in Matabeleland which is one of the conflict zones. Susan describes living under these conditions. Day to day life was very tense and they had to worry about attacks and death and safety among other mundane things. The white minority community was a very close knit community. As different farmers were shot dead or abducted or attacked, Susan started to re-evaluate the safety of her family, and thought about leaving the land she had come to love and raised children on. Following each successive drought we swore we could see the Kalahari desert encroaching further into our territory. Tjolotjo Tribal lands, west of Nyamandhlovu, were already desolate. Overgrazed by cattle, chewed to the quick by goats, denuded of trees by tribesmen building their huts and cooking fires, it had, over the years, cleared the way for desert sand to advance over the baked earth, and famine had become a reality for tribal people. Food agencies tried to help but little reached those in real need. Government road blocks confiscated donations coming in on the blocks of lorries, selling them on to the highest bidder and Nyamandhlovu farmers reacted by opening up back tracks on their land and smuggling the grain through. She also talks about the monsoon. I loved the sentences below. It somehow reminded me of the monsoon back home. The lacerating heat, seemed to last forever, but one day,as we watched from the verandah, purple clouds began stacking up on the horizon, rapidly blowing closer and bringing the smell of rain on the wind. Thunder rumbled in the distance, lightning played around the sky as afternoon grew dark. And then it broke. glittering rods of rain, blocked the view, spattered mud on the walls and washed dust laden leaves. Overnight the veldt greened and the air filled with smells of wet earth and blossoms and Matabele ants, pungent and pervasive when stepped on. Just behind John’s cottage the Mpopoma river came down in spate, sluicing over the spill way into the Khami and sending torrents rushing down into the dam. Whether you are interested in memoirs, African history or simply Africa, this book is definitely worth reading. I love reading books on War Correspondence but sadly out of all I’ve read I’ve only liked two. But Dispatches from the Edge I loved. I had expected to like it but I wasn’t prepared to like it so much. 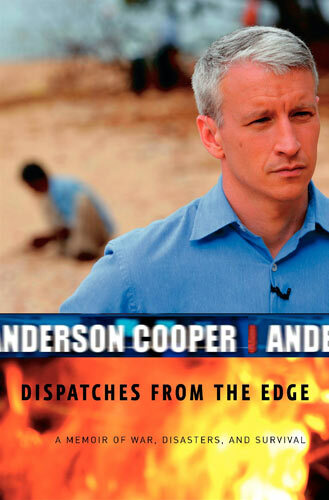 Anderson Cooper describes his journey, dispatches rather from developing and third world countries. The first section describes the cyclone that hit Srilanka and many other countries a few years back. Having been to Srilanka recently, I could picture the small towns and the people and it was very painful to read about the destruction of life and property. The middle section is more a mix of his experiences in war-torn places like parts of Russia, Iraq and Africa. At times there are alternate chapters on the same places but in different times. I guess he wanted to contrast or something but to me that section was most confusing because even though it describes the same place the situation was somewhat different, at least politically. It was difficult to just switch between times. The last section is on hurricane Katrina. He was in the midst of the hurricane then and his experiences were chilling. And because it was his own country, he was more emotionally involved which reflected in the writing. What I loved most about the book was that Anderson Cooper didn’t hold back. He let the readers know what his state of mind was then. He described how his father’s death affected his and his brother’s life. He kept running away from reality instead of facing his grief and loss. His brothers suicide was another tragedy that made him runaway from his emotions. He describes his need for always being in crisis and how it was unable for him to adjust to normal life. Although this book is based on difficult subjects, it really is very easy to read. Highly recommended. Bonobo Handshake by Vanessa Woods is based in Congo Africa. Vanessa Woods is a research scientist in California. She is also an author and has worked for NatGeo. Bonobo Handshake is, yes you guessed it right, about Bonobos. 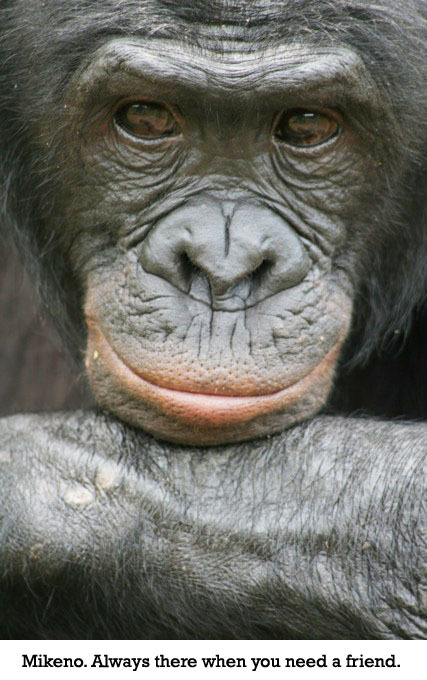 How many of us know that Bonobos along with chimps and gorillas are closest to us in terms of gene count? But sadly, world is so focused on chimps that people tend to forget or overlook these relatively small apes. Vanessa Woods moved to Congo with her boyfriend since he was a research scientist and wanted to conduct research on Bonobos. Having worked with Chimps before and having no interest in Bonobos or Congo for that matter, the move was a huge sacrifice for her. But as she came to know the animals, she eventually fell in love with them. This book is not just about Bonobos. It’s a nice mix of her personal story, the political story of Congo and Bonobos. Congo has suffered extensively for its oil, gold, diamonds, Cobalt and so much more. Instead of strengthening the economy, it has resulted in many wars and suffering. And along with the economy and the people, the wildlife suffered too. People want money and the fastest way to have it is to sell Bonobo’s. They are tortured and orphaned. 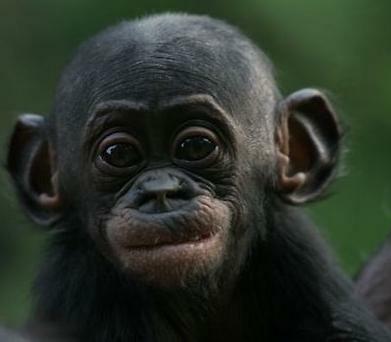 Most of them are sent to the Lola Ya Bonobo sanctuary when found by well-meaning individuals. It was here, at Lola YA bonobo, that Vanessa and her boyfriend (later husband) conducted experiments on the Bonobos. These experiments are important because other than comparing them to chimps they are also a key to a better world. By understanding the way Bonobos deal with conflicts we could understand more about how humans deal with conflicts too. I simply LOVED the book. What more can I say? After the first 20 pages I couldn’t put it down. You would possibly like it even if you don’t like non-fiction because this book is page-turning. It’s a detailed, human, interesting and heart warming look into Bonobos and the people who look after them. I fell in love with Bonobo’s after reading this book and I’m sure you will too. Since I borrowed this book from the library I hope I find a copy for my personal shelf. My thoughts: This book is inspired by the Camel Bookmobile Project in Kenya. The books are carried on Camels to remote areas in Africa where children have little or no source for books. Fi is a librarian from New York who volunteers for this project. She is looking for an escape, a life very different from her own. Mididima is one of the villages in Kenya where this bookmobile visits. These are the villagers who have their set ways for years. They worship nature, they think they are cursed if it doesn’t rain. They have ancient values and philosophies that have been carried down from generations. Obviously they are not too happy about the bookmobile. They think it will corrupt their children’s minds and show them a world which is above their reach, it will take away their traditions. But there are also children like Kanika and Scar Boy (who was attacked by a hyena when he was a toddler) who want to experience something different, who want to widen their horizons. The author brings out the clash between the modern and the traditional world very well. We think the villagers would be thrilled to have an opportunity to read and learn, but we never think it will clash with their believes and culture. This book has everything I love in a book, an African setting, lovely characters, beautiful writing, but there was something lacking in The Camel Bookmobile. I couldn’t really get into the book for whatever reasons. It does get really interesting midway but again it disappoints at the end. There were important threads that were left open. I am okay with open endings but here it felt really abrupt. Nonetheless, it is a book I would recommend. I loved this book. Chinua Achebe writes a sad and melancholic tale about a man called Okonkwo in a small African tribal village called Umuofia. Okonkwo is a man feared and respected by everyone in his village and beyond. He is a wrestling champion and man who enjoys fame and respect because of his hard work. He is a self made man. His father was considered a looser because he did not work very hard to sustain his crops and did nothing else but play music and laze around. He died as an outcast. The only thing Okonkwo fears is failure and being compared to his father. So he works hard, becomes prosperous and lives comfortably with his 3 wives and children. But life is not fair to him. After working hard in his village to gain a title and a good life, he is exiled from his fatherland because he kills a boy by mistake. When European colonists come to his village and build a church and start converting the villagers into Christians, Okonkwo wants to take action, he wants to fight the Europeans and preserve his culture and religion and his gods. But no one else wants to fight. Okonkwo watches his son join the Europeans and turn into a Christian and he is in utter despair because he cannot do anything about it. This book has a sad and tragic end. What I liked about the book was the simple descriptions of the day to day life of the people in a tribal village. I enjoyed reading about how their lives revolved around the growing and harvesting of Yams, how their beliefs in their gods affected the men and women in the village and their unease and anger when Europeans come and build a church in the village. I enjoyed reading about folk tales passed down from generation to generation. 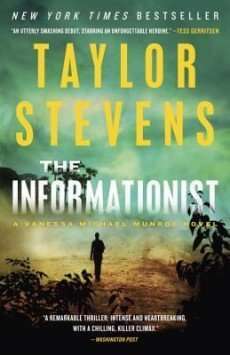 Even though I like the book I would like to mention a few points here as I have heard a lot of criticism and bad reviews for this book. ‘Things fall apart’ has been termed as a literary masterpiece. But if you looking for outstanding language, this book is not for you. The language is as simple as it can get, which I think is the beauty of it. If you want to clear your prejudice that African villages are backward and primitive and you think reading this book will give you an insight into why they what they do, do NOT read this book. I thought the tribal customs and beliefs were down right against humanity and whatever way the author would have put it, I wouldn’t have believed otherwise. Would you approve of leaving new born twins in a jungle because twins are considered evil? Mutilating a dead infant’s body so that it isn’t born again? Out casting a man from his village and his loved ones because he has a disease? If you are looking for a good plot and well rounded and lovable characters, again this book is not for you. I hated Okonkwo. He was a tyrant and he repeatedly beat his wives and kids. I couldn’t sympathize with him no matter what. I couldn’t take sides with the European colonists either. Though they brought good things in the village, they brought law and order, I hated the fact that they thought their God was the greatest. Trying to undermine any religion is always wrong. Every religion has its good and bad points, what you can do is point out the bad points or the bad interpretations of it. Sorry, but I am against statements like, ‘There is no God except our God’. I believe God is one, whether he is in the form of Christ or Allah or Krishna, everyone is the same, there are just different names given by humans. I don’t want this to turn into a religious discussion, so I’ll stop. All I can say is I loved this book. Read it if you want to live and experience a culture very different from your own. ‘Things fall apart’ is distinctively African. I bought this book on an impulse. I had never heard of Adichie before, nor i had heard that she was the winner of the Orange Broadband Prize for fiction. I liked the story, the concept and I wanted a chance to know and understand something about Nigerian History. Africa for me has always been vast stretch of rain forests, Sierra Leon and child soldiers. I expected something in the lines of a war story from her, something like ‘A long way home’ by Ishmael Biah. Something which showed the struggle of the people during the war, the atrocities committed during the war. But this book is all that and much more. In fact I wouldn’t call it a war story. It is the story of unforgettable characters; characters like Odenigbo, Olanna, Ugwu, Richard and Kaniene. They remain etched in your mind long after the book is over. It is very difficult to believe that this is Adichie’s second novel. And what a storyteller she is. The book starts with a 13 year old Ugwu who comes to live with Odenigbo as a house boy. Right from the start you get pulled into the story. You can feel their emotions, their turmoil right through the pages of the book. It has the backdrop of the formation and the death of Biafra as well. I won’t get into the story for the fear of spoiling it for those who haven’t read it. All I can say is she has a very powerful command and control of the language. Her writing is an Art work. I fell in love with words like sonorous, sardonic, abstemious, sacrosanct, lugubrious all over again. It has been acknowledged indeed.